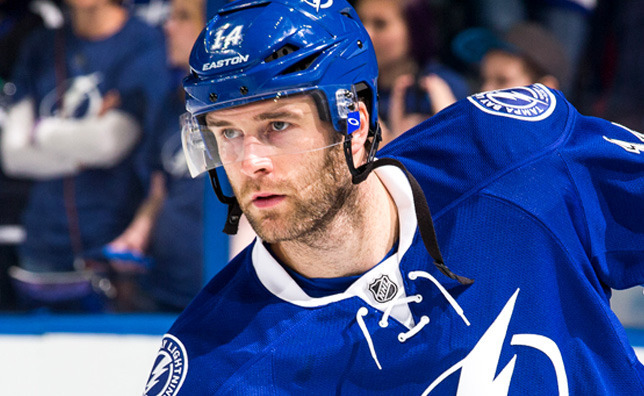 BOSTON, MA - Boston Bruins General Manager Peter Chiarelli announced today, March 2, that the Bruins have acquired forward Brett Connolly from the Tampa Bay Lightning in exchange for the Bruins' natural second round draft pick in 2015 and the Bruins' natural second round draft pick in 2016. Chiarelli will address the transaction during his annual trade deadline media availability session at 5 p.m. on Monday, March 2 at TD Garden. Connolly's availability will be confirmed at a later time. The 22-year-old Connolly has skated in 134 career NHL games for Tampa and registered 18 goals and 14 assists for 32 points and 72 penalty minutes. In 50 games this season, Connolly has 12 goals, three assists and 38 penalty minutes. During the 2012-13 AHL season Connolly tallied 31 goals and 32 assists for 63 points while playing for the Syracuse Crunch. The 31 goals were tied for the third most in the league while the 63 points ranked ninth. The 6'2'', 181-pound native of Campbell River, BC was drafted by the Lightning in the first round (6th overall) of the 2010 NHL Entry Draft.